Provide a colorful, concrete way for your students to understand mathematical concepts---including whole numbers and fractions, ratios, congruence, and geometry---with these manipulatives. Math ideas and problems become easier to grasp when youngsters relate abstract ideas about numbers and shapes to something they can see and touch. Grades K through 8. 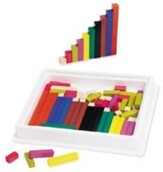 Set includes 74 plastic rods, sufficient for two to four students; a storage box; and a 24-page activity guide. 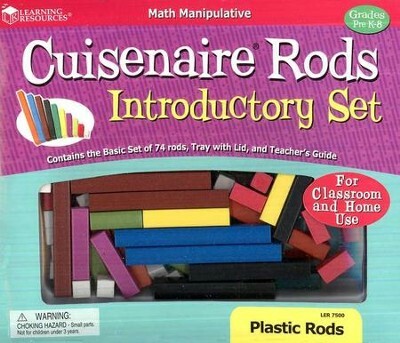 I'm the author/artist and I want to review Cuisenaire &#174 Rods Introductory Set, Plastic.